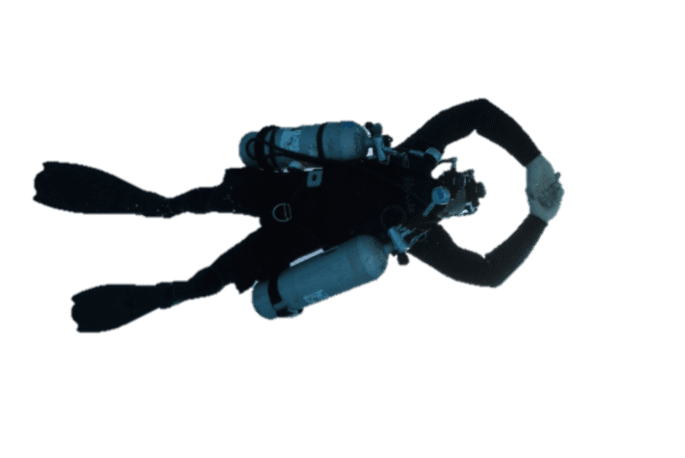 Diving sidemount makes technical diving easier. Sharing the passion of technical diving is a privilege and profession. No matter where you are at in your dive career, Jeff can be a mentor and take you from donning a dry suit or dual cylinder configuration for the first time to the deepest, darkest depths while educating others. While diving exclusively in sidemount, Jeff’s teaching style will build your confidence to 'do it your way', not force you to conform. Jeff is a seasoned and internationally respected technical diving instructor trainer and consultant, who is a humble, professional, and encouraging mentor for all your tec diving goals. Trained and trusted instructor evaluator is the peak of instructor development. Technical training from the worlds largest recreational scuba training agency. Training agencies focused on technical diving. The cornerstone of safety and research in the dive industry. ERDI and PADI public safety diving instructor to teach those who serve safety, standardization, and experience needed for extreme environments. Safety and conservation embraced in overhead environment diving. Education is enabled and enhanced by having passion beyond what is required. Education and insight empower people to challenge the conventional methods and search for innovation. Sidemount is the foundation for all other courses. Becoming confident and proficient in a balanced rig enables you to focus on the specialty specific skills at more technically advanced levels of training. 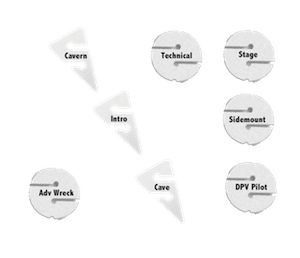 A balanced rig enables you to perform all other skills without having to focus on your position, cylinders on your side changes your center of weight. Reducing your exposure in the water makes you a more efficient swimmer... like a fish. Also your cylinders are easily accessible and protected. While recreational diving, taking two cylinders on the boat, but leaving one top side.... does you no good. Sidemount provides two independent life support systems. Doning the cylinders in the water reduces the weight of the cylinder while fighting gravity on the surface. Bubble check your own cylinders and confirm that valves, regulators, and hoses are in proper working conditions and orientation. Having the option to enter with none, one, two, or all of your cylinders, depending on conditions, enables versatility and agility. Three different training courses can be tailored to your experience and style of diving; 1. recreational open water, 2. technical fundamentals, 3. instructor mentoring and evaluation. Click for details on pre-requisites, skills, pricing and agencies. There is a lot of discussion on the 'right' way to dive sidemount. Here are some resources to get you started, however proper training from an experienced instructor and lots of practice is needed to perfect 'your' way of diving sidemount. Interested in rural/extreme destinations or just something outside the backyard... please tap into Jeff's global diving experience. Stop worrying about 'sidemount friendly' operators and trust your next adventure to Jeff's experience. 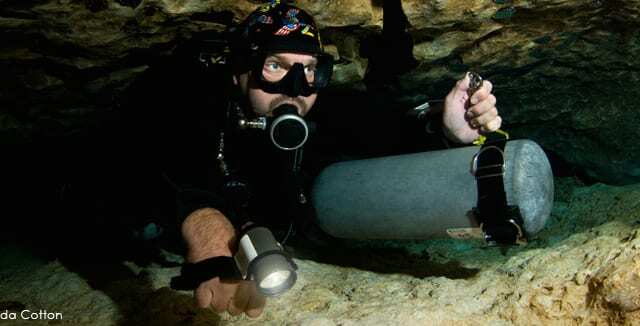 Overhead training can be done in a cave or wreck. These courses guide you through the process of understanding the many stressors, complex equipment, precise dive skills, and specialized equipment. Three four courses provide training from entry level and beyond. Experience is earned not purchased. 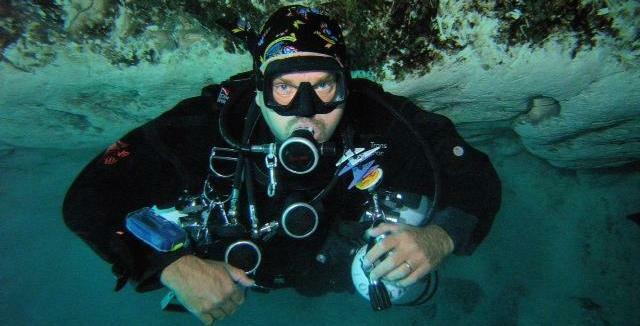 Jeff has put in the time within the dive industry and loves to help others along their own journey. Whether you have a resort operation looking to expand into professional or technical diver training or are an individual that could use Jeff as a mentor to meet your own goals; contact Jeff today and discuss how you can work together to add value to your business and customer’s experience. Exploring the world should be fun, rewarding, and adventurous. However there are many logistical considerations that your focus can be consumed by planning and execution instead of fully experiencing the adventure. A seasoned traveler knows the value in having someone who has been there before and has contingency plans for the backup plans is worth their weight in gold. Don’t let your trip of a lifetime be spoiled by the unforeseen. Jeff has experience traveling across the globe with large groups, high profile individuals, corporate groups and training classes. Planning - From picking a destination, dining, and gas fills; a solid plan gets everyone on the same page and prevents many unforeseen issues. Execution - Flexibility and adaptability in the moment keeps spirits alive and maximizes participant satisfaction. After safety and security, getting the mission accomplished is the priority of all of Jeff’s trips. Security -– It’s all fun and games until something goes wrong. Jeff’s military and public safety background ensures a high degree of safety which enables you to focus on the mission and have more fun! Fun - Taking only memories and photos, while leaving only bubbles and a credit card trail is a mantra for the sustainable world traveler. Jeff’s fun and engaging leadership doesn’t stop during your surface interval. Educational - A good diver is always learning… so never let your skills get stale or leave your passion untapped. 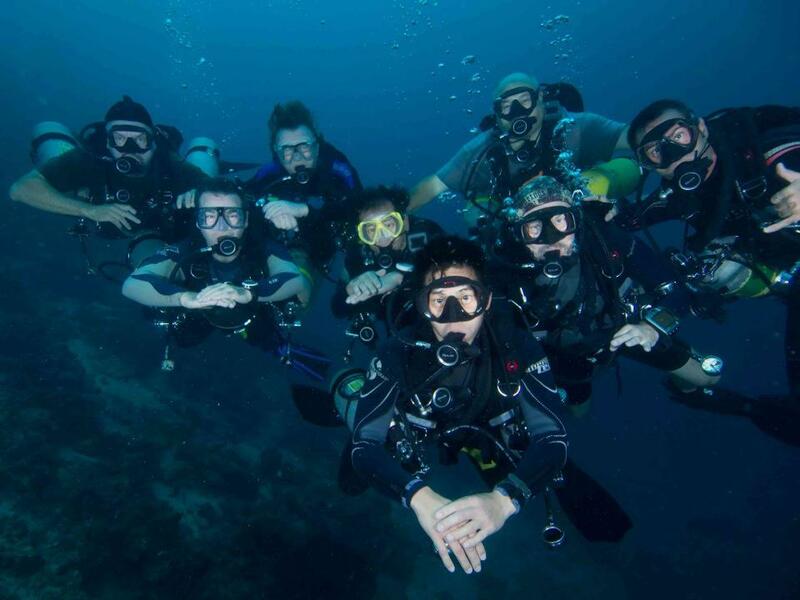 Diver and instructor level courses at all levels are typically available and can be integrated into all trips. Check the calendar or contact Jeff today for planned trips today. Do you have a question about prerequisites? Or what equipment you need? How about a comprehensive training plan to meet your ultimate goal? Don't worry, we are here for help. Please email, call, or use contact form below.